Feasting on the Gospels is an all-new, seven-volume preaching series that focuses on the most prominent and preached-on New Testament books, the four Gospels. Featuring never- before-published essays from a diverse and respected group of scholars and pastors, Feasting on the Gospels covers every single passage in the Gospels, making it a valuable resource for developing sermons. For each Gospel text, preachers will find four essays on the exegetical, theological, pastoral, and homiletical challenges of the text, with the freedom to begin where they choose. 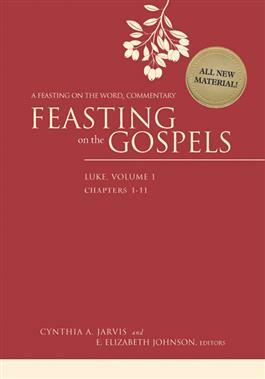 Feasting on the Gospels offers a unique resource for all who preach, either continuously or occasionally, on the Gospels. Clic k here to read a sample from Feasting on the Gospels—Luke, Volume 1.